Imagine you are playing a game on your pc suddenly your game minimizes and windows shows a notification which says that you have turned on the Sticky Keys by pressing SHIFT 5 times. 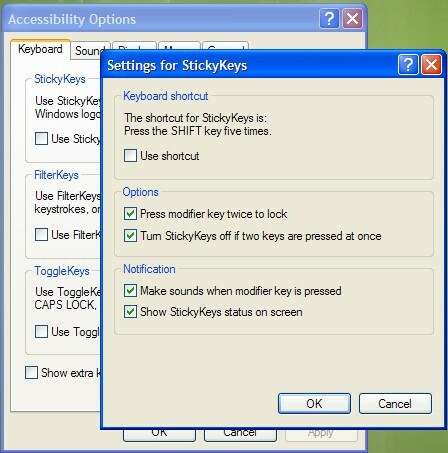 You click on cancel thinking that you’ve turned off the sticky keys and you continue playing your game but again after few minutes you receive the same message.Now you get a feeling(not all) “Hey!Not again, I already turned off the sticky keys, there must something wrong with the windows”‘. But then what is the problem? 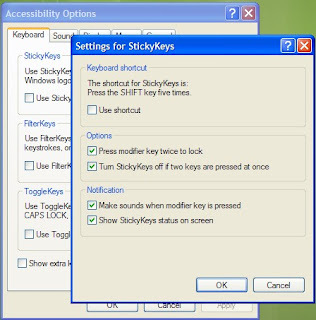 The problem is that you don’t need to turn off the sticky keys instead you have to disable its shortcut i.e 5 times Shift key.